Children are the blessing in our life. Without children life is meaningless. All of us have a dream of having children. Men and women get married and want to have children. Actually, women long for the motherhood. Women sometimes get married for the sake of having children. The couple and the whole family feel so happy to see their baby first time. And the whole family celebrates it. Some couples don’t have the blessing of getting children immediately after the marriage.They wait for a long time and don't get the children even after many years. They feel dejected. They become a symbol of disgrace in the society. Wherever they go they see the happy parents with kids. They feel so left out and feel so worthless. All these things lead to depression in them. Especially women get into deep anguish when they don’t get conceived. They might have got some problemin conceiving itself. Pregnancy will be indicated by planet positions in the horoscope of both man and woman. There may be lack of energy from Jupiter and Venus in their horoscope leading to non-pregnancy. Sometimes even after pregnancy success, they may get series of miscarriages. They end up in not having children and become childless couples. They don’t even have any energy to think further. But their efforts would continue as the desire to have the children in human beings is very strong. They would have approached many people and done every possible treatment. All in vain, they don’t get through the successful full-term pregnancy to give birth to healthy baby. Sometimes this childlessness may be a temporary situation.  Pandit Ramdial the best-renowned astrologerin USA and Canada is good at providing solutions to childless couples. Many of his clients have approached him to get the remedy for the childlessness and have been blessed with cute kids. 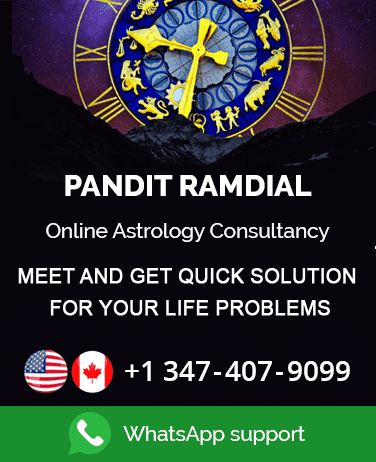 Pandit Ramdial first assesses the planetary implications for the couple’s problem and calculates the details very neatly, then he plans for the remedy. He keeps the couples current situation and ability in mind and consults them with a holistic approach. Whatever is the situation Pandit Ramdial is an expert in solving problems of Childlesscouples in an astrological way. His remedy leads to enabling the childless couples towards the path of parenthood. Male’s horoscope depicts 80% of childbirth possibility and females’ horoscope depicts 20% of the probability. Pandit Ramdial discloses the problem very clearly with his acute assessment. Then he may suggest special pujas and Mantra for the successful Pregnancy. Pandit Ramdials remedies surely maximize the possibility of natural conceiving of a healthy child. He will also suggest the ways and means for proceeding with natural and healthy childbirth. He can also be consulted for Horoscope preparation for the newborn child as well.